The world needs hope. Can I get an Amen? And after months and months of division, it seems the devastation of Hurricane Harvey has struck a chord within us and is re-opening our eyes and hearts to the power of uniting together. That is HOPE, my friends. People uniting together to help. Not looking at religion, race, sexual orientation, nor political party. People helping people. People uniting in acts of what just today our pastor referred to as extraordinary compassion. Not the ordinary compassion that gives our hearts a moment of pause and may just urge us to think for a bit about the tragedy another is facing. But extraordinary. The kind that goes bigger, deeper, farther. The kind that makes a difference. It’s the kind that gives hope. The selection is incredibly vast! There is a box for absolutely anyone and for any occasion! I was shocked to see I could find a box to which even my husband would love to get a subscription! They have hundreds of boxes that support various charitable organizations. You may remember one I had on my Christmas favorite gift-giving options list last year. Check those out HERE. So, when Meredith from Cratejoy contacted me last week to tell me about the relief efforts they are making in support of the devastation caused by Hurricane Harvey, I wanted to join in and see what the #MomentsofHope readers could do! In the wake of Hurricane Harvey, Cratejoy received a massive in-pouring of emails from our subscription box owners offering to donate a portion of their proceeds to relief efforts. These fantastic companies are pledging to donate to a wide range of charities, including The American Red Cross, Texas Diaper Bank, The Humane Society, and many more. In total, over 100 subscription box companies will participate in fundraising efforts. Below are some of the generous subscription boxes included in the promotion, and the full list of participants and details can be found in Cratejoy’s Hurricane Harvey Relief blog post. 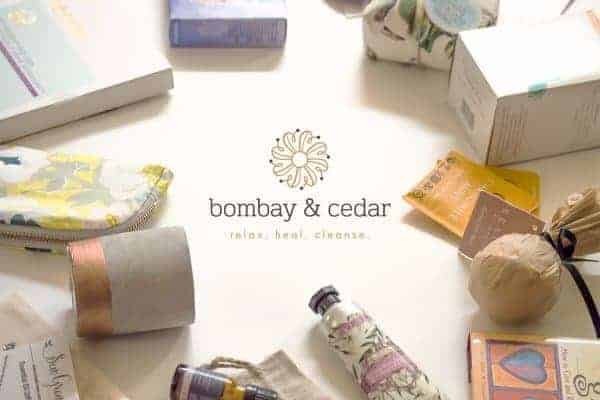 Bombay & Cedar is an aromatherapy, wellness, and lifestyle subscription box. Each month subscribers receive 5-6 full size products like, skincare, home goods, books, and snacks. Every box also includes 1-2 essential oils and other goodies hand-curated for discerning women living an inspired life. To help with Hurricane Harvey victims, Bombay & Cedar has pledged to donate 10% of their sales for the next 60 days to The Salvation Army. 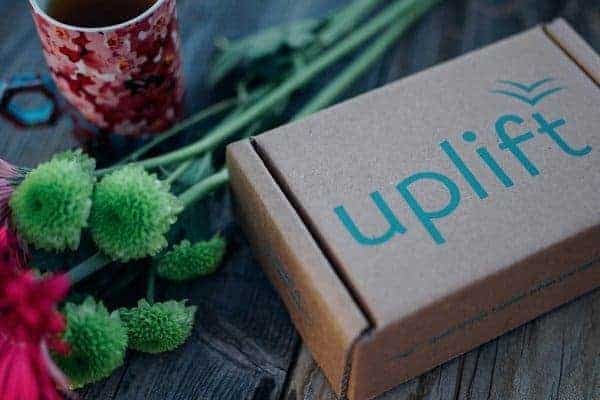 Uplift Box strives to make your life calmer and happier. Each box includes high quality, artisan-produced products to calm stress and promote self-care. Subscribers get items like essential oils, custom herbal teas, and a deck of well-being cards that double as mini coloring sheets – perfect coloring therapy. Every month Uplift Box chooses a philanthropy action, and for September they’ve chosen the Houston Area Women’s Center. They’ve pledged to donate $5 for every Uplift Mini purchased throughout September. 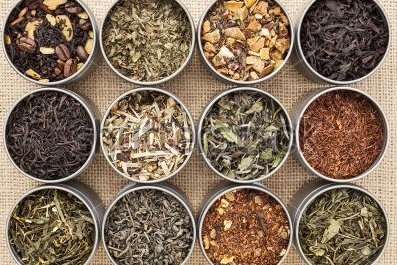 True Serenity Teas helps subscribers explore the world of premium, fine loose teas. Each month they hand curate a selection of 4 unique teas for you to sample, and provide a Serenity Tea Starter Kit when you place your first order. 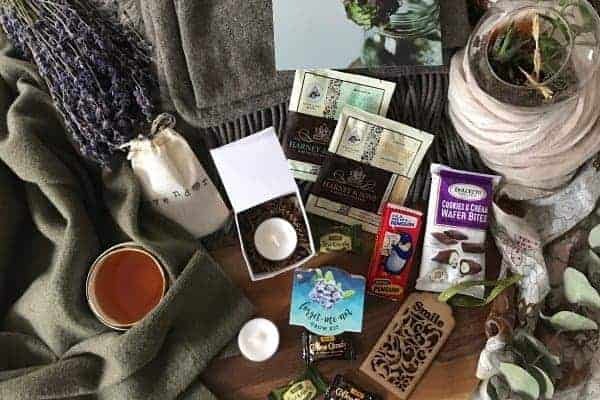 As a bonus, subscribers also get to enjoy edible goodies included in the box to compliment the teas and Tea Pillows to help brew. For the next two weeks, True Serenity Teas will be donating 10% of their sales to the American Red Cross to aid in Hurricane Harvey recovery. Hygge is the Danish lifestyle of coziness and preserving happiness everyday by slowing down, being humble, expressing gratitude, and connected with loved ones. And that’s exactly what Hygge Box aims to deliver every month. Each box always includes elements of light (candles, twinkle and fairy lights), a hot drink (like tea, coffee or cocoa) and a sweet treat (think chocolate and cookies). Every box is also customized for each customer – no two boxes are alike! To help with Hurricane Harvey relief, Hygge Box has offered to donate 10% of their profits to the American Red Cross earned from boxes sold between September 1st through September 10th. Enjoy Flowers delights its subscribers (or gift recipients!) with long-lasting fresh flowers once or twice a month. With different sizes, delivery cadence, and a bouquet or DIY option, you can completely customize your order. All bouquets are arranged by floral designers and DIY options deliver loose stems ready for you to arrange yourself. Enjoy Flowers has committed to donate 10% of sales from September 1st through September 15th to The Hurricane Harvey Relief Fund of Houston’s mayor, Sylvestor Turner, which is administered by the Greater Houston Community Foundation. Each month subscribers have the choice of a medium or large candle curated for the current season. Candles always have lead-free wicks and are made from superior wax. 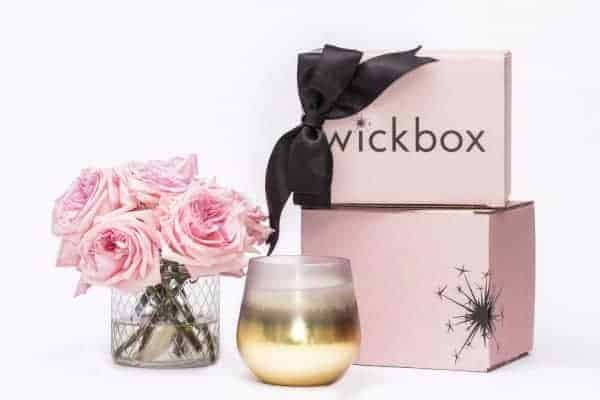 box or any purchase in The Wickbox Shop. Simply email your donation confirmation to support@wickbox.com to get your credit. Some of Wickbox’s favorite relief organizations include American Red Cross, Samaritan’s Purse, Mercy Chefs, and Texas Diaper Bank. For more information and the full list of subscription boxes participating in Hurricane Harvey relief aid, check out details on Cratejoy! In the spirit of uniting together, I want to share with you something I know is only small, but yet something that means a great deal to me. Up until now, I’ve never monetized my blog. That means I’ve chosen not to make any income from this ministry. It wasn’t because I thought it wrong. Rather, it was simply where I felt God called me. But now I get to take this one step further. 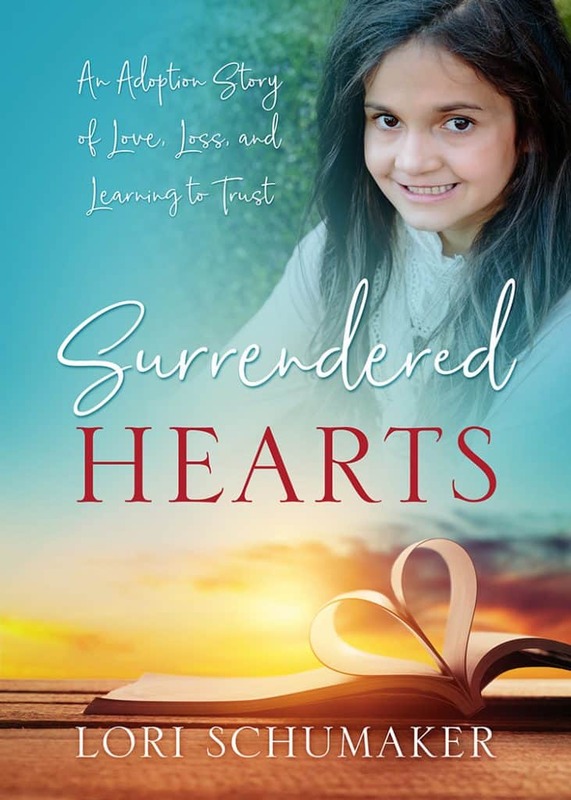 On occasion I will partner with products and services I firmly believe represent the heart of this message and point to the hope we find in Jesus. As an affiliate, I will earn a small commission. But I get to donate 100% of these proceeds to charitable organizations! And I’m starting today with a friend I love and adore. Biblically, she is rock solid. Her compassion is ginormous. And her wisdom? It’s just plain old GOOD! She recently launched a new product called RENEW and when you use THIS LINK to purchase Renew, I will donate all commissions received from this project to Hurricane Harvey relief efforts! 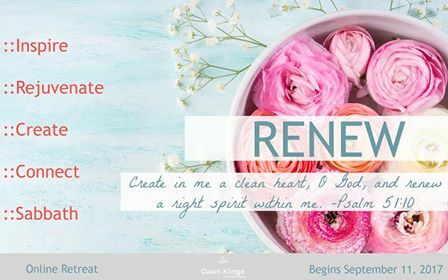 Renew is an online, self-paced, retreat experience. This will be a place to pause, allowing your spirit to be refreshed as you soak in the goodness of who God is. A time to make space for the work of the Holy Spirit to renew a right spirit within your soul. This retreat is a quiet celebration of some beautiful gifts given to us by our Creator- gifts that renew our bodies, minds, and spirits. Additionally, if you so choose to participate, there will be an interactive online community available in which to share ideas and experiences. 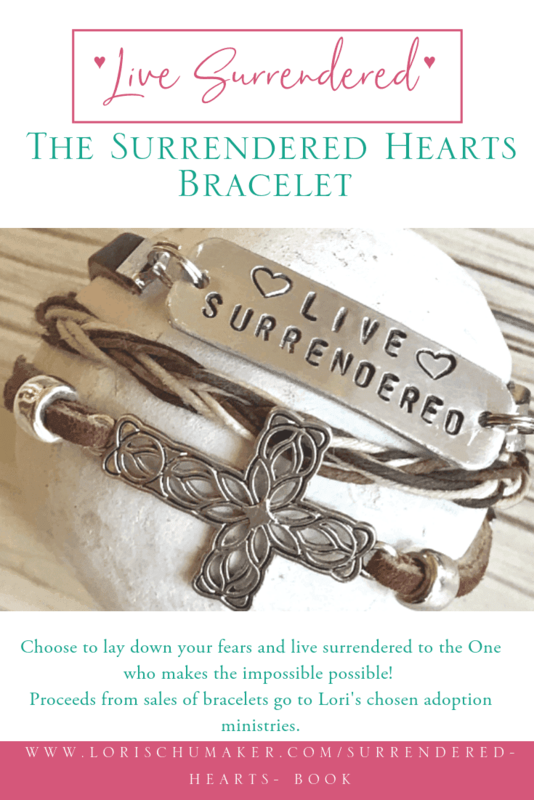 If you want more information on this awesome retreat, stop by Dawn’s site for the whole scoop! 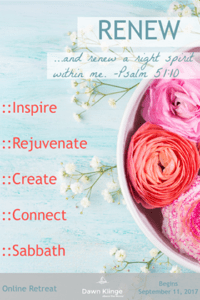 And because I believe living in alignment with God’s will for us starts with intentionally taking time in His Word, I believe in the power of a personal retreat. Taking time for ourselves gives us time with Jesus. And having time with Jesus makes us fall more in love with Him. When we love Him more, we begin to love others well, commit to extraordinary compassion, and yearn for unity. After visiting Dawn’s site, make sure to stop back by here to register using THIS LINK so that uniting together, we can send a little more relief to the victims of Hurricane Harvey! Thank you for joining me here each week to share the hope given to us through Christ. Whether your words come from a story that points to the full healing you have experienced in Christ, or its a story of the journey along the road to the healing He is working in you, it is giving hope to others. Your words matter and it honors me to have you share them here in this space! Thanks, Lori, for your initiative and your always-tender heart. Thank you, Michele! I’m praying that God multiplies our efforts here! Blessings! Thank you, dear friend. I’m honored and deeply touched to have Renew featured today- and to see the proceeds going to such an important cause. Thank you, Dawn, for such a wonderful resource to be able to share! Blessings, sweet friend! Thank you so much for sharing about this, Lori! I love the sound of these products and what this all about. Dawn’s retreat is amazing; I have wished for something like this for those who can’t go outside their homes. Maybe everything we think of we aren’t to create but to be a part of in a different way. This is encouraging. I hope she helps many with God’s help. Hi Meg! Thank you so much for being with us this week! I agree, Dawn’s retreat is such a beautiful option for when we just can’t take time away from home. But I wanted to encourage you that we each have a different voice and perspective, so if God has put something on your heart to share, keep pressing on! Blessings! I do hope you get a great response to help the victims of the hurricane, Lori! Thanks for your compassionate response to our nation’s crisis! And thanks also for offering us hope in the form of inspiring posts each week here at your linkup, my friend! Thank you so much for your kind words! It’s truly my pleasure to be able to offer hope here, and I always pray that it’s a blessing, so thank you!